« Older: Saga Humane Society says THANK YOU!! Fashion and beauty collided on Saturday March 9th when islanders were treated to another fashion show. Miss Tourism Belize partnered with Belize Institute of Mixology and Kama Lounge to present their signature “Roadway to Malaysia” fashion show while presenting the delegates striving for the coveted title of Miss Tourism Belize. Fashion enthusiasts made their way across the bridge to Kama Lounge to witness a night of high end fashion and entertainment. With a ”Beach Chic” theme in clothing provided by San Pedro’s Foreva Fancy Boutique, the nine delegates strutted down the run way in swimwear, casual wear and the ever important and glamorous evening attire. The well attended fashion show started oround 7PM, and the party lasted through the wee hours of the morning as the night seemed endless. The nine gorgeous contestants from across the country participating in this year’s Miss Tourism Belize Pageant are Vicki Canul, Amanda Taylor, Jonelle Tillet, Ivorie Mendez, Jasmine Skeen, Wendy Neal, Olivette Ramos, Nacy Vellos and La Isla Bonita’s Adriana Haylock. Each model made her way down the run way in her stylish outfits, rocking the runway in a fancy manner. The audience enthusiastically applauded each girl as she braved the spotlight. 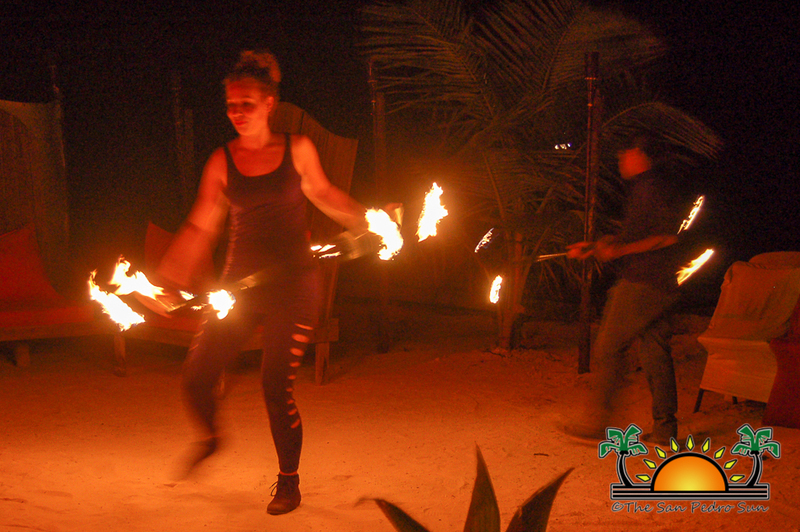 During change breaks, fire dancer lit the night with intricate tricks and turns of spinning flames, much to the delight of those in attendance. The night also showcased delicious appetizers from Kama Lounge, as well as complimentary drink samples that were provided by Old Master Rums.The dynamic sounds provided by DJ Dzl got the crowd ready for a night of fun. If the fashion show was not enough to please, the perfectly blended cocktails were sure enough to satisfy. After the show was over the contestants mingled with the crowed, dancing the night away. It was an enjoyable night full of splendor, beauty and fashion. This is the final event for the Miss Tourism Belize Countrywide Tour. 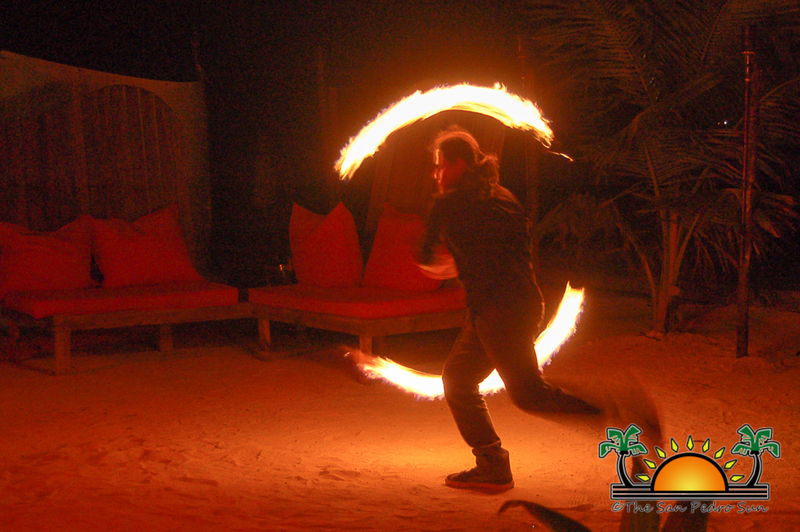 The pageant will be taking place on Ambergris Caye on March 30th at the Paradise Theater. One lucky winner will be chosen to represent Belize internationally at the Grand Miss Tourism Pageant held in Malaysia in December. Be sure to mark your calendars since the pageant is bound to be a night to remember. The Miss Tourism Belize: Road to Malaysia fashion show was made possible by Kama Lounge, Belize Institute of Mixology, DJ Dzl, Foreva Fancy, Old Master Rums, NMProductions, MIX Entertainment, Joe Chung and the Miss Tourism Belize Association.